The chesterfield sofa is the world’s best-known iconic British design when it comes to upholstered furniture. A highly distinctive visual design, the essential characteristics of chesterfield furniture have been preserved since its origin in 1780. The design remains distinctive today: antique chesterfield sofas of the eighteenth and nineteenth centuries found in stately homes across the United Kingdom matches those made in the twenty-first century and proudly displayed in modern homes and institutions as elegant and functional classics. It represents a long-term commitment to quality spanning more than 200 years. 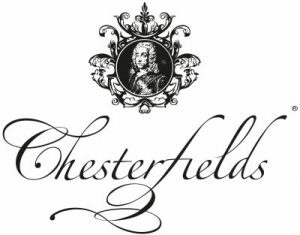 The Chesterfields Trade Association sets out the regulations and guidelines for certification, so that manufacturers, retailers and customers can be certain of the criteria required before an item of furniture can properly be labelled as a genuine, certified Chesterfield made in the UK. The iconic Chesterfield represents more than just historical design; it provides consumers with a guaranteed hand-made product and an assurance of quality. The certification operates to ensure that new Chesterfield products comply with regulations and are made to the appropriate high standard. Proper certification requirements make sure that the heritage and characteristics of a Chesterfield can be preserved without being eroded.